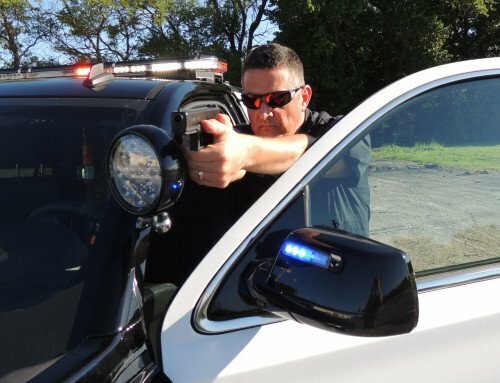 You are here: Home / Officer Safety / Car Stop Shooting Video: Deadly Threats Come Quickly! Ludlow, Kentucky lies along the banks of the Ohio River minutes from Cincinnati, Ohio (photo by City of Ludlow). Ludlow, Kentucky borders the Ohio River just south of Cincinnati, Ohio, and is within the larger Cincinnati metropolitan area. Located at the northern most tip of Kentucky, the town had an estimated population of 4,543 in 2014, and the Ludlow Police Department had 9 officers and a Chief. Across the country there are many small municipalities that are a part of larger metropolitan areas. These cities strive to uphold the small town atmosphere, but their close proximity to big city issues often creates an inevitable collision with more violent crimes. Here is the video from Officer Hodge’s body camera. As you can see, the interaction appears to start off respectful though Reynolds begins to give verbal hints of what is about to unfold when he explains he didn’t want to stop because he wanted to stop somewhere with “witnesses”. This should trigger alarm bells for any officer, as it indicates the person is already prepared to engage in activity worthy of “witnesses”. Most law-abiding citizens respect the police, and will pull over immediately, or at least the earliest safe location. Law-abiding citizens are not thinking about “witnesses”, and are generally understanding of the needs to enforce traffic laws. Reynolds actions (not stopping), and justification (needs witnesses), are clear indications that his intentions are nefarious. 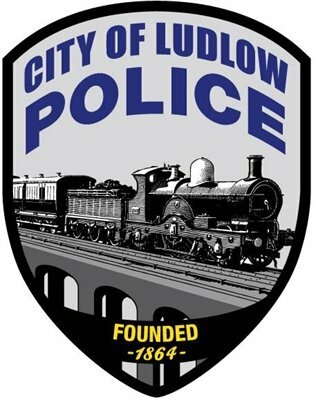 What is known of the incident on December 22, 2015 is that Ludlow Police Officer Hodge attempted to stop Charles Reynolds, but Reynolds failed to stop for several blocks. Reynolds was stopped because he passed an ambulance on an emergency run unlawfully. 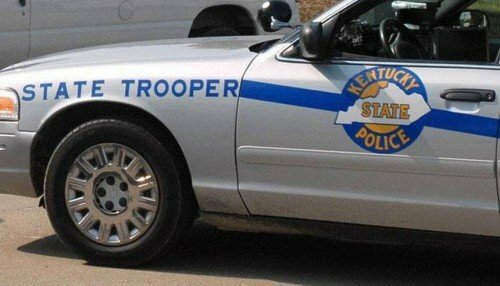 A subsequent investigation by the Kentucky State Police and the Kenton County Commonwealth’s Attorney, did not reveal anything unlawful about Officer Hodge’s reasoning for stopping Reynolds. Charles Reynolds was a 61-year old white, male with known anti-government sentiments. In addition, it was known by police that Reynolds typically carried a firearm with him. From the video, it can be seen that Reynolds is a rather large man, approximately 6’0″ tall and probably at least 250 pounds. The answers to all the questions may never be known, but it was learned during the shooting investigation that Reynolds was under investigation for possibly attempting to buy a firearm illegally. In addition, the Ludlow Police had been to Reynolds’ home, where he lived with his mother and brother, just weeks ago on a report of drug dealing. Though Reynolds himself was not the target of the investigation, it was reported he was very upset at what he called a “home invasion” by police. Though he is 61-years old, nobody should reasonably see Reynolds physical characteristics as non-threatening due to his age. Remember Texas DPS Trooper Randall W. Vetter was killed by a 72-year old murderer during a traffic stop, when the old man exited with a semi-auto hunting rifle. It was this prior-known information, and the actions of Reynolds that night, that probably saved Officer Hodge’s life. Every law enforcement reader should remember to use all available information to the fullest advantage. It can and should dictate our tactics when confronting potentially violent subjects. When Reynolds failed to yield and instead continued to drive for several more blocks before stopping in the Dollar General parking lot, red flags should have been going up everywhere. When Reynolds stated he wanted “witnesses” Officer Hodge was clearly justified to believe Reynolds intended to put on a show worthy of the “witnesses” he wanted. The U.S. Supreme Court has established the guiding principle in evaluating officers’ use of force in regards to 4th Amendment protections against unreasonable searches and seizures. That principle is “objective reasonableness” and was solidified for all U.S. Federal and State courts in the landmark decision of Graham v. Conner (1989). This decision laid a foundation for trial courts to evaluate the officer’s actions to determine if they were “objectively reasonable” in light of the “totality of the circumstances”, or were they a violation of a citizen’s protected rights. The importance of mastering the legal requirements of this case are perfectly described in the Ludlow Police shooting video. Allowance must be made for officers making split-second decisions that are often in tense, uncertain, and rapidly evolving circumstances. One of the Ludlow, Ky Police cruisers (photo by Ludlow Police). The witness then goes to Reynolds and kicks the handgun away from him. At the outset of any enforcement action by a law enforcement officer, a solid legal foundation must be established. This can range from the temporary detention of a suspect based upon reasonable suspicions, to the custodial arrest of a suspect observed committing a criminal act. 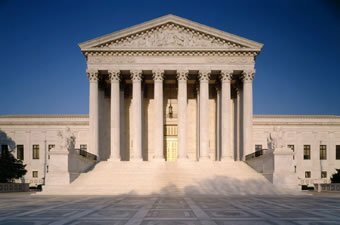 The U.S. Supreme Court has laid a strong foundation that recognizes the police officer’s authority to enforce the law, and investigate suspicious activities. However, officers must be able to clearly articulate their actions and legal justifications for those actions. Here, Officer Hodge did an excellent job of identifying himself and citing the violation that Reynolds had committed to warrant his stop. Additional suspicious actions (failing to stop, admitting to being armed) were clearly vetted by Officer Hodge, and further justified his order for Reynolds to exit his vehicle and turn around. 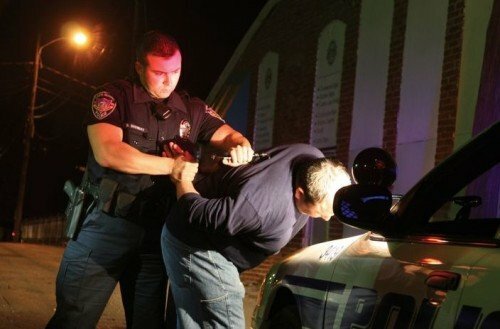 Physical control techniques and arrests of known armed subjects should not be performed by solo officers if possible (photo from Pintrest). When Reynolds failed to comply with orders, Officer Hodge did not immediately jump in for a physical arrest, but instead laid the foundation for his legal actions (Terry v. Ohio). In fact, it appears that the officer’s superior knowledge of Supreme Court case-law, justifying his ability to frisk Reynolds for weapons, was the final straw that led to Reynolds decision to draw and shoot the officer. When confronted with an officer who clearly understood the legal authority to act upon his demands, Reynolds was faced with the dilemma of surrendering and facing charges, or attempting to shoot the officer and escape. Tragically, Reynolds allowed his hatred of government and the Ludlow Police to overwhelm sound reasoning and he attempted to murder Officer Hodge. Thankfully, Officer Hodge used his previous knowledge of Reynolds, his superior legal knowledge, and his officer safety training and determination to quickly eliminate the threat. The Kentucky State Police investigate many officer involved shootings throughout the State (photo by KSP). Ultimately, the Kentucky State Police and Kenton County Commonwealth’s Attorney found that Officer Hodge’s use of deadly force was reasonable and justifiable. That conclusion was heavily weighted on Officer Hodge’s body camera footage, but was also made clear by the officer’s remarkably clear legal foundation for his actions. Before I go too far into this section I want to express my personal beliefs about Concealed Carry Permits, and civilians who choose to carry firearms. I am a strong supporter of the 2nd Amendment, and have been a strong supporter of lawful citizens rights to buy, possess, and carry firearms. However, I am also a believer that reasonable laws on carrying firearms should be enforced, such as having a permit to carry a concealed firearm. I am not opposed to States that pass laws allowing concealed carry without a permit, but I believe it should be left to the individual States to decide. In this case, Kentucky had a law requiring a person to have a Concealed Carry Permit to carry a firearm concealed. The enforcement of that law is what led to this shooting, and I believe Officer Hodge was very justified in his actions. Considering the above, officers across the nation must adapt to sweeping State law changes that have brought concealed carry to almost every State in America. 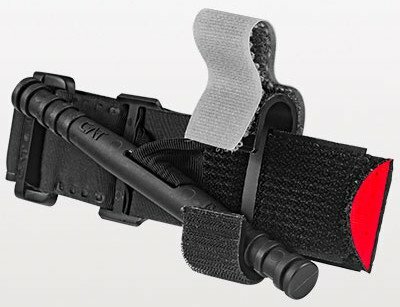 We have previously written articles on “Best Practices” for dealing with both open-carry citizens and concealed carry citizens. Law Enforcement officers swear an oath to uphold the Constitution and their respective State laws. In these cases it is our duty to respect lawful citizens to carry firearms, as long as they comply with laws passed by their State representatives. However, Reynolds clearly did not comply with the law, and was therefore subject to criminal prosecution. When it became abundantly clear that Officer Hodge was not going to back down, and was clearly taking measures to counter Reynolds’ unlawful actions, Reynolds made his fateful decision. Reynolds was known to carry a firearm, despite not having a CCW permit. First – immediately call for back-up. Even if Reynolds had immediately pulled over, all of the other knowledge warrants additional officers being present during the contact. At the end of the video backing officers are arriving within a few minutes of the shooting, so they were clearly not too far away. Second – when Reynolds did not immediately pull over (and with all the previous intel on him) I would have considered conducting a high-risk stop in the parking lot, waiting for back-up to complete custodial procedures. Don’t let “small town” procedures prevent you from performing your duties safely. The author during high risk stop training. Third – when Reynolds admitted to “holding” a weapon, he should have been ordered to keep his hands visible. Officers could wait at the door, ready, until backing officers arrived to more safely take him into custody. Fourth – if you do have the suspect exit, and with all the intel, signs, and verbal clues present, when the suspect refuses to comply with orders (if you have this law), inform them they are under arrest. Most States have laws that make it illegal to resist arrest, even if the underlying charge later is found to be unsubstantiated. Fifth – knowing the suspect is “armed” and refusing orders, constitutes an act of aggravated resistance (armed, and refusing to comply with lawful orders). TAKE APPROPRIATE ACTIONS! Don’t wait for death to stare you in the face, and don’t count on winning a 50/50 engagement. Draw your firearm and order the suspect into a kneeling or prone handcuffing position. You are on solid legal ground, and you are now ahead of the OODA Loop if the suspect (like Reynolds) decides to draw their weapon. Sixth – CARRY A TOURNIQUET ON YOUR PERSON! Having emergency life-saving medical supplies on hand can mean the difference in life or death. Civilian Mergerle responds to Officer Hodge within seconds, and uses his own belt as a tourniquet on Officer Hodge’s arm. The wound was already described as “bleeding profusely”, and towards the end of the video you can hear Officer Hodge’s voice starting to show signs of fatigue and blood loss. The new G7 C-A-T tourniquet. Officer Hodge faced a committed anti-police murderer, and won the deadly force encounter. From reports, Officer Hodge is expected to make a “full recovery”, but what that really means is not clear. Will he lose some function of his injured arm? How many surgeries will it take for him to recover. What is the financial impact on his family? Officer Hodge remained extremely professional up to and including the shooting itself. He laid a clear legal foundation for his actions, and was clearly justified in shooting Reynolds who had already shot him. This last fact is the emphasis of my evaluation of this incident. Knowing the law should provide officers an outstanding foundation for escalating force when needed and when not needed. Here, I firmly believe if Officer Hodge had drawn his sidearm immediately upon Reynolds refusal to turn around, the shooting would have gone a completely different way or may not have happened at all. Officer Hodge was forced to accelerate his actions when Reynolds went from semi-cooperative to a deadly threat in seconds. My suggestions are not intended to characterize Officer Hodge in a negative light, for indeed he responded heroically to his attack. My suggestions are intended to encourage officers to familiarize themselves with their legal options and take action upon them sooner rather than later. In that regard, it may have prevented Officer Hodge (or you) from getting shot at all. A quick point: The offender tried to get the officer talking and thinking about something else (Terry v. Ohio) in order to either distract him or to make the officer second-guess his authority to make the stop in the first place. Either action on the officer’s part would slow down his inevitable reaction to the offender’s action, maybe enough to let the offender get away from the shooting unscathed. And a question: At what point did the officer unholster? Great points retfed, and something all officers should be aware of in advance – know your authority, and be confident in your actions, even if you’re still in just an investigatory interaction. However, once this guy put his hand behind his back I would have drawn on him. To answer your question, it is not entirely clear on when the officer drew his sidearm, but it does not appear to have happened until after the presentation of a firearm by the suspect. I say this, because the offender tells the officer to take his hand off of his gun (not don’t point that at me, etc.) The officer was pretty quick to draw and return fire, which likely saved his life. I read this entire article and then watched the video. I was shocked that this incident happened at night. I didn’t see that identified in the article (or if it was, i missed it), but that changes the way I would have handled this situation entirely. With the offender in the truck when he approached and the door open. I believe Officer Hodge is lucky to be alive. I agree with all your suggestions, AND I sure would have had backup before approaching the truck. Officer Hodge handled himself VERY well in a difficult encounter. But he was lucky. I’m glad he wasn’t killed or more seriously injured and wish him well and pray for him and his family for his speedy recovery.